A two Judge Bench of the Supreme Court Today reversed a Kerala High Court Judgment [Saurabhan vs. State 2012(3)KLT 583] which held that “a Superior Police Officer of a different Sub Division, by an executive order of the Police Chief, cannot exercise the powers of the Officer in charge of the Police Station if that station does not fall within the local area to which he has been appointed”. The Bench comprising of Justices Ranjan Gogoi and Prafulla C. Pant allowed the Appeal filed by State of Kerala holding that Section 36 Cr.P.C, do not debar the exercise of powers by the State Police Chief to appoint any superior officer who, in his opinion, would be competent and fit to investigate a particular case keeping in view the circumstances thereof. Over certain matrimonial disputes between the parties, two police cases i.e. Crime No. 621 of 2011 and Crime No. 637 of 2011 were registered in the Pettah Police Station. The complainant in Crime No. 637 of 2011, who is the accused in Crime No. 621 of 2011, had filed a representation before the State Police Chief for further investigation by a competent/ neutral officer. On the said representation, the State Police Chief by an order dated 24.01.2012 directed the District Police Chief of Thiruvananthapuram City that the Assistant Commissioner of Police, Cantonment, Thiruvananthapuram City may be entrusted with further investigation of Crime Nos.621 of 2011 and 637 of 2011 of Pettah Police Station. Pursuant to the above direction of the State Police Chief, one M.G.Haridas, Assistant Commissioner of Police, Cantonment, Thiruvananthapuram City was authorised to conduct further investigation of the two cases and send weekly reports. This was by order dated 12.03.2012 of the Deputy Commissioner of Police (L & O) Thiruvananthapuram City. Thereafter it appears that the specially authorised and entrusted officer filed an application before the learned trial court for further investigation of the two cases which was allowed by the said court on 20.03.2012. The aforesaid order appointing M.G. Haridas, Assistant Commissioner of Police, Cantonment to conduct further investigation of the two cases and the order of the learned trial court dated. 20.03.2012 granting permission for further investigation under Section 173(8) Cr.P.C were assailed before the High Court. The challenge before the High Court was primarily on the ground that the said orders are in excess of the powers vested by Section 36 of the Cr. P.C. 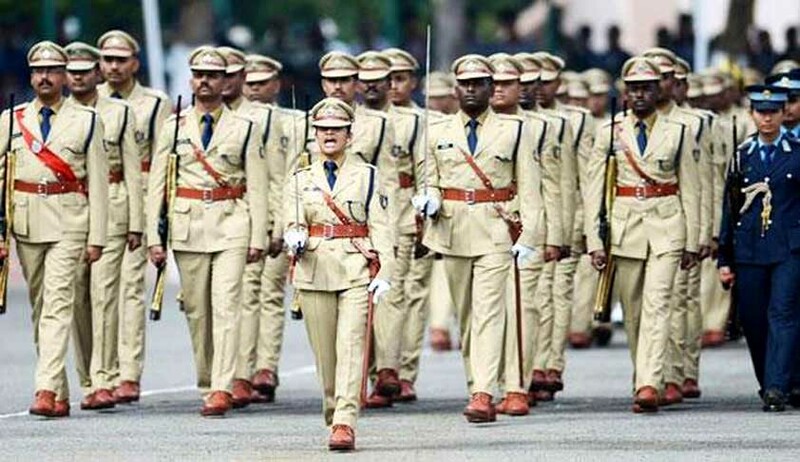 and that Section 18 of the Kerala Police Act which vests the administration, supervision, direction and control of the police throughout the State in the State Police Chief cannot override the provisions of Section 36 Cr. P.C. The High Court held that S.18(1) of the Police Act cannot override the statutory provisions covered by CRPC which govern and confer power to the Police Officer to investigate crime. According to the High Court Section 36 empowers the Police Officers superior in rank to an officer in charge of Police Station to exercise the powers of such officer in charge of a Police Station in the local area to which they are appointed. A Superior Police Officer of a different Sub Division, by an executive order of the Police Chief, cannot exercise the powers of the Officer in charge of the Police Station if that station does not fall within the local area to which he has been appointed. “No doubt, it is open to the State, and, if such power is delegated to the Police Chief, then, he can also constitute a special team of Police Officers to investigate a crime registered at a station, empowering such team to do so, but, to entrust a Superior Police Officer to investigate a crime, it has to be shown that he has jurisdictional authority to conduct such investigation. Otherwise the result will be calamitous, not only for the reason it is done without statutory backing but even flouting the provisions of the Code. If by executive order of Police Chief, investigation of the case could be taken over and entrusted with any person of his choice, then, fairness of investigation will be open to serious doubt. If a Police Officer is entrusted with investigation of crime registered at a different station which does not fall under the local area over which he has jurisdictional authority, for the reason that such Officer is superior in rank to the Station House Officer,”, said the High Court. “We do not see how Section 36 Cr.P.C, in any way, can debar the exercise of powers by the State Police Chief to appoint any superior officer who, in his opinion, would be competent and fit to investigate a particular case keeping in view the circumstances thereof. Section 36 Cr.P.C does not fetter the jurisdiction of the State Police Chief to pass such an order based on his satisfaction. It is the satisfaction of the State Police Chief, in the light of the facts of a given case, that would be determinative of the appointment to be made in which situation the limits of jurisdiction will not act as fetter or come in the way of exercise of such jurisdiction by the superior officer so appointed. Such an appointment would not be hedged by the limitations imposed by Section 36 Cr.P.C. Section 18 of the State Police Act, on the other hand, does not confer any such power and merely recognises the State Police Chief as the head of the police force in the State”.